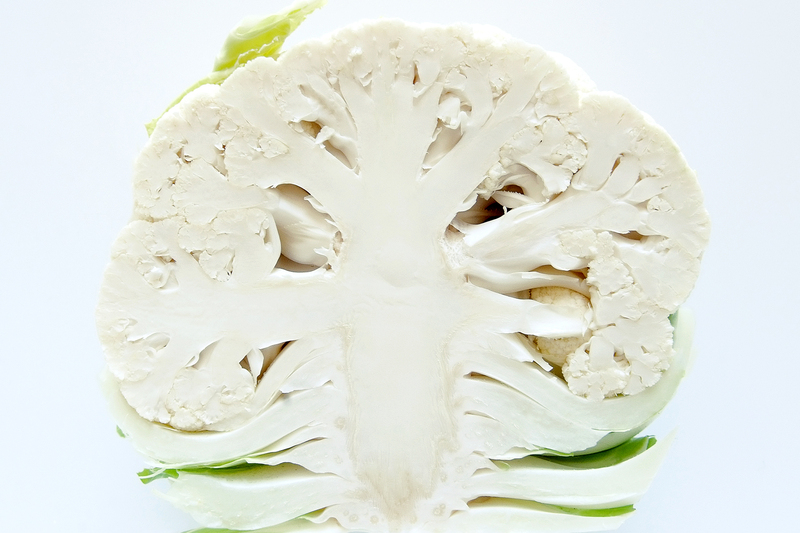 Cauliflower is from the cruciferous family: it is a plant with European origins, widespread in Italy. It is especially cultivated in Lazio, Puglia, Campania, Marche, Sicily and Abruzzo in winter. Its name comes from the Latin ‘caulis’, cabbage, and ‘floris’ flower. 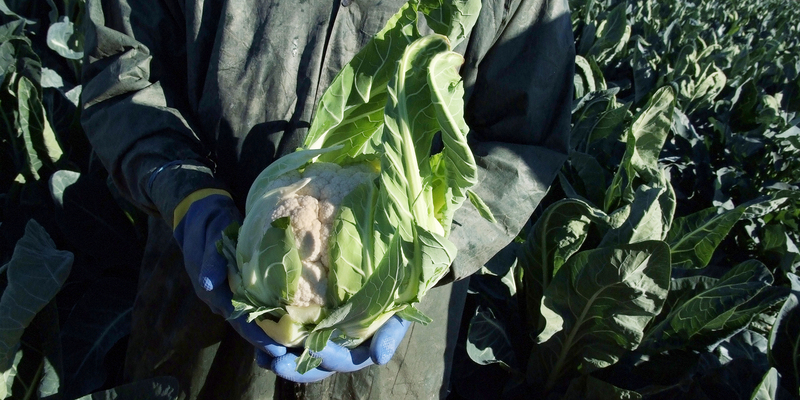 In fact cauliflower shows a stem of about 15 or 20 cm long and green leaves surrounding the real fruit. The flower looks hard and compact, white round-shaped. Cauliflower rich in vitamins and minerals, is a healthy and balanced. It contains calcium, potassium, sulfur, iodine, iron and phosphorus, vitamins A, B1, B2, C, K, PP and folic acid and It has only 25 calories per 100 grams. The ancients already knew the many nutritional and medicinal qualities: strengthening the immune system, positive action against cholesterol and the onset of cancer, anti-inflammatory, antioxidant and antibacterial properties. 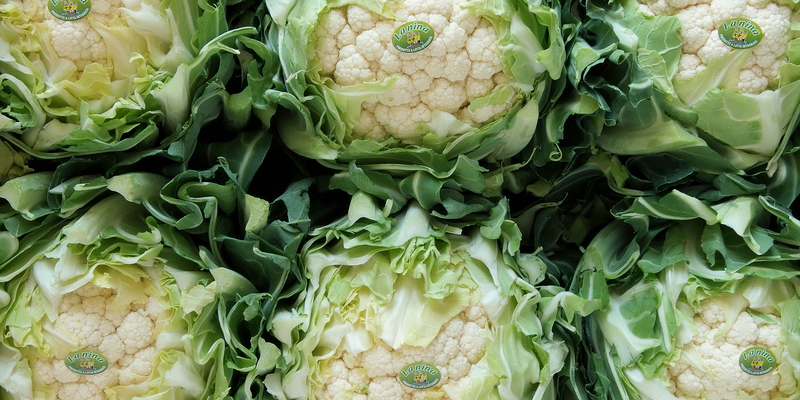 The cauliflower is grown exclusively in open fields in Piana del Seleand, in particular, in towns of Battipaglia, Eboli and Capaccio. The transplanting of plants and the harvest are completely manual. The production is carried out in accordance with regional disciplinaries and Global Gap certification ensures the monitoring in all stages of production, respect for the environment and workers’ health.